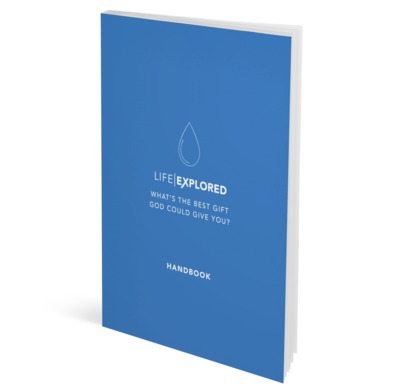 Guest Handbook for this visually stunning new outreach course from the Christianity Explored team. Life Explored will help people uncover what they’re really living for, and shows that the greatest pleasure in life is not enjoying the gifts God has given, but enjoying God himself. This exciting, new outreach course can be run before or after Christianity Explored or Alpha and is perfect for anyone looking for answers to life's big questions. This Handbook contains everything a participant needs for the course, guiding them through the sessions with plenty of space for notes. When I initially found out about this course, I expected it to be good and certainly the part 1 videos are very well produced. However reading through the course material and the transcripts of the part 2 videos makes me feel like this is two courses smashed together. The public videos are one course and the material in the handbooks is the other with the part 2 videos being used as some messy glue to connect them together. The bible passages used in the handbooks provide a good overview of the Bible message but almost should be done without the glossy videos. Alternatively if you like the glossy videos you might want to identify bible passages that match up with them rather than the ones in this book and do a course that way.